The Episode prototype store design was envisioned as a richly textured, highly detailed neutral backdrop to showcase beautifully designed and manufactured women’s clothing. 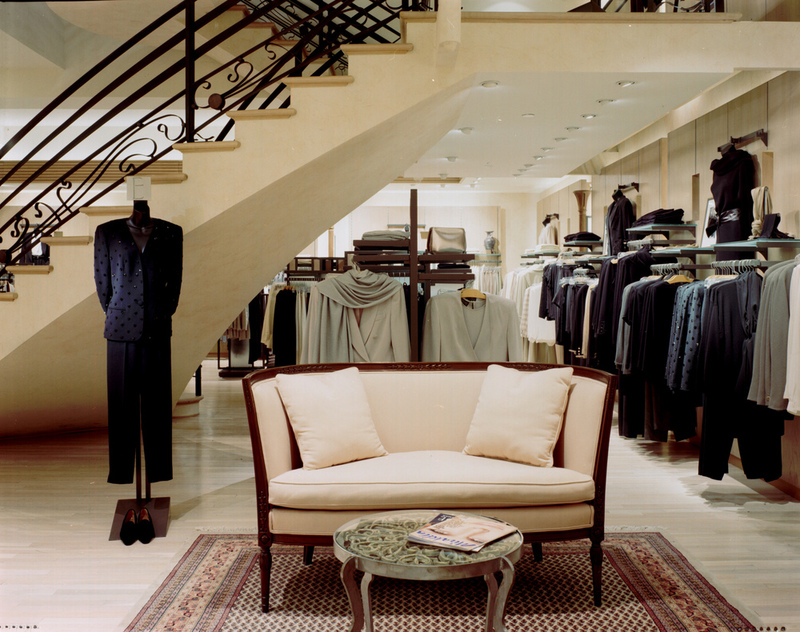 French limestone, bleached and pickled wood floors and custom-finished walls were combined with multiple sources of lighting to highlight each stores’ architectural details. The store design conveys the company’s commitment to and value they place on high quality. All stores were located in high-end U.S. shopping areas – Madison Avenue in New York, Rodeo Drive in Beverly Hills and Palm Beach in Florida for example. Over a four-year period, TPD designed and was responsible for the 33 store roll-out located throughout all major American markets. Episode. Tobin Parnes Design. Retail Design. Exterior. Episode. Tobin Parnes Design. Retail Design. Entry. Episode. Tobin Parnes Design. Retail Design. Stair. Episode. Tobin Parnes Design. Retail Design. Sales Area.